An amazing initiative of the Pulane Phale of Department of Education in the Free State resulted in the launch, in Bloemfontein on Thursday 14th, of 52 books written by Grade 3’s. The books were written in the home languages used in this province which are Setswana, Sesotho, esiKhosa, isiZulu and Afrikaans. 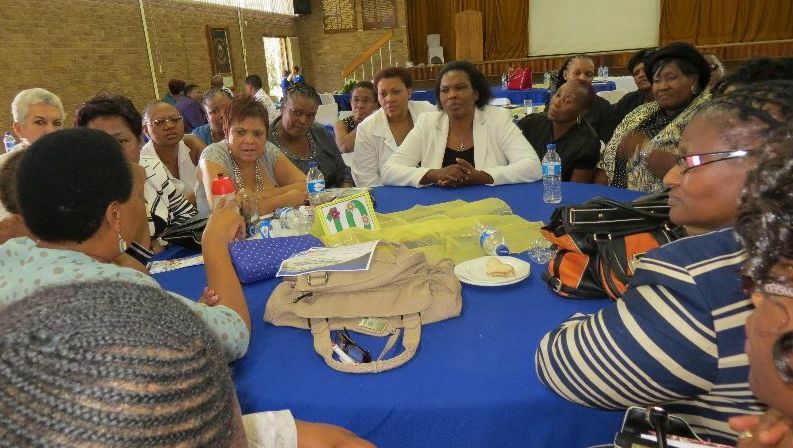 Present at the launch were top educational dignitaries from that province that included the MEC, the Honourable P. H. I. Makgoe; the HOD, Mr R S Malope; Chief Director CMEDS Mrs M Maboya, Director of ECD and GET Education Mr Montso and Ms Eunice Qwelane, Director Inclusive and Special Needs. The MEC was presented with a pack of these books by a child. (see photo). 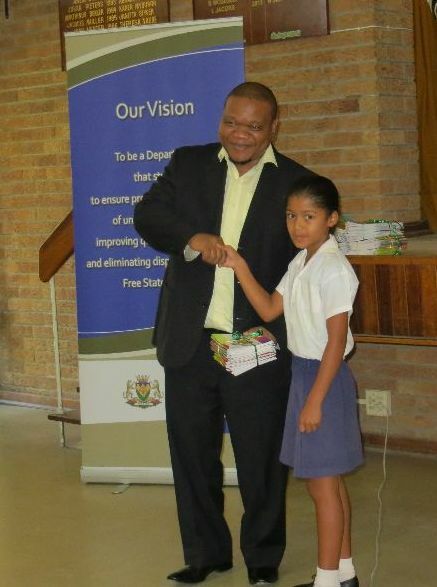 These young authors came from all five districts in this province and were the result of a tender put out by the Free State Education Department. 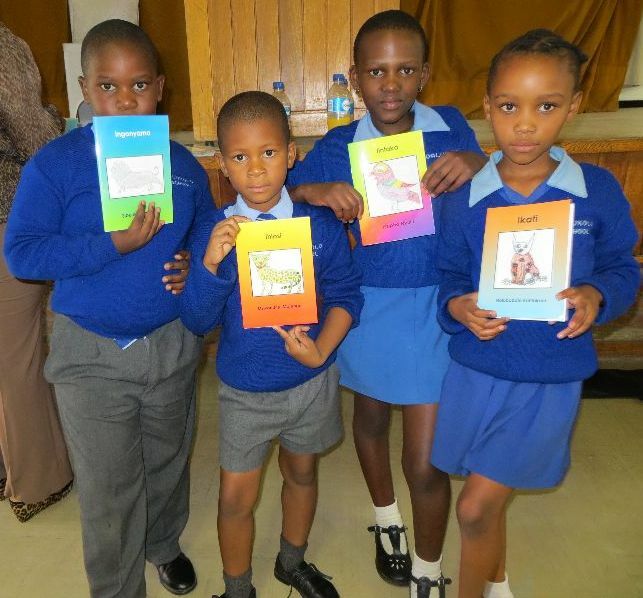 Felicity Keats won this tender that resulted in a teaching project in August 2012 when Felicity, accompanied by Detlev Diegel, drove around the entire province to 10 children in each area to use their right brains to write these books. Approximately 10 subject advisors and 2 teachers were present at each training. Once in their right brains, the children needed no further assistance and set to work to write whatever they pleased that came from their experiences. Highly original stories were the result, all illustrated in colour by the children who had a thoroughly lovely time! It was even more exciting for them at this big launch to see their book covers screened for them and to hold their own books in their hands! 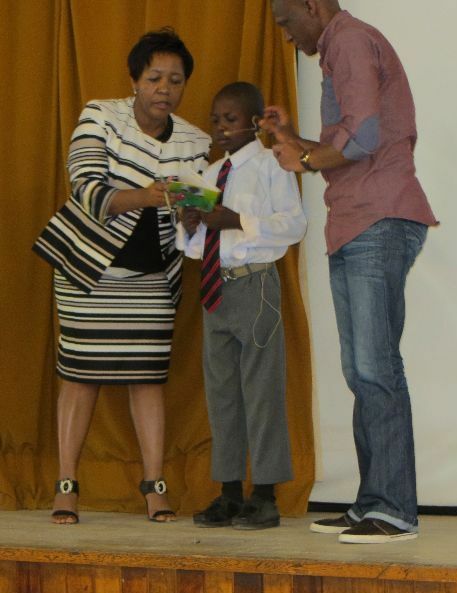 This exciting day brought the young authors, all dressed in their school uniforms, from Koffiefontein, Qwaqwa, Sasolberg, Bethal and Bloemfontein. Three young authors read their books to the delighted audience. 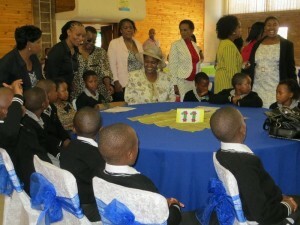 These books will be used as readers for Foundation Phase in the Free State.